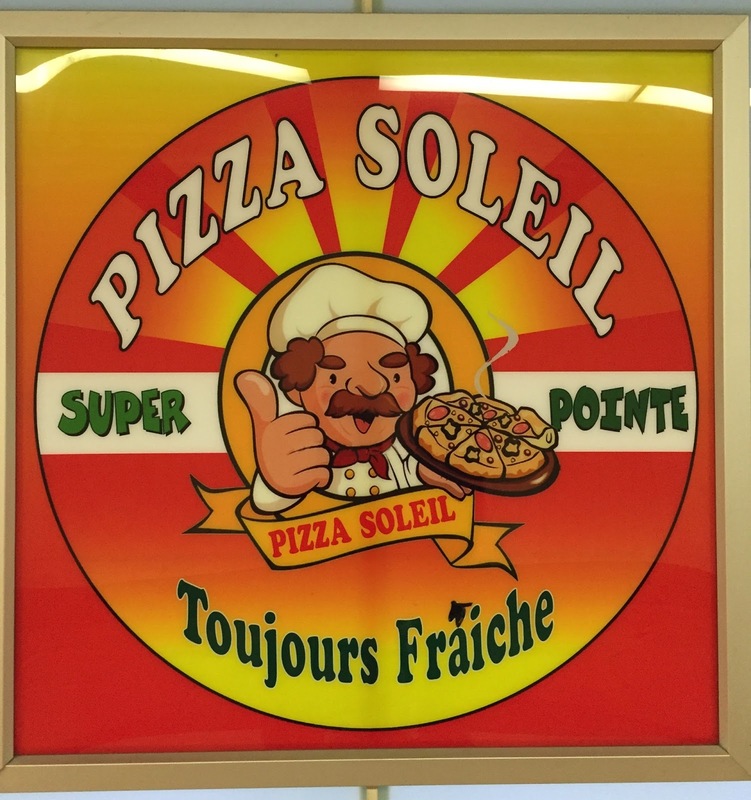 I always saw a mini pizza shop on the path at McGill Station between Centre Eaton and La Baie/The Bay. 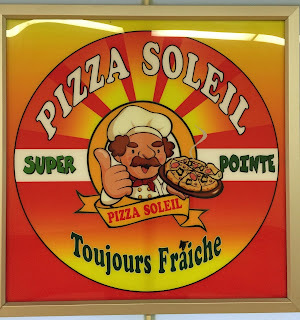 We only stayed in Montreal for about 16 hours so that I went to this Pizza Soleil as it's at the convenient location. 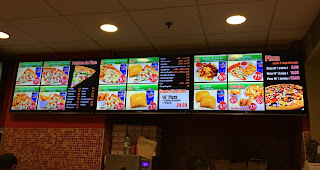 As it's a pizza place, they had many combos with pizzas. I was there around 12:30 PM and there's a line of people and almost everyone was buying the pizza, but I only got a small poutine. Once I ordered the poutine over the showcase, they pulled out fries from the oven and put in a container, shredded cheese, cheese curds and gravy sauce. 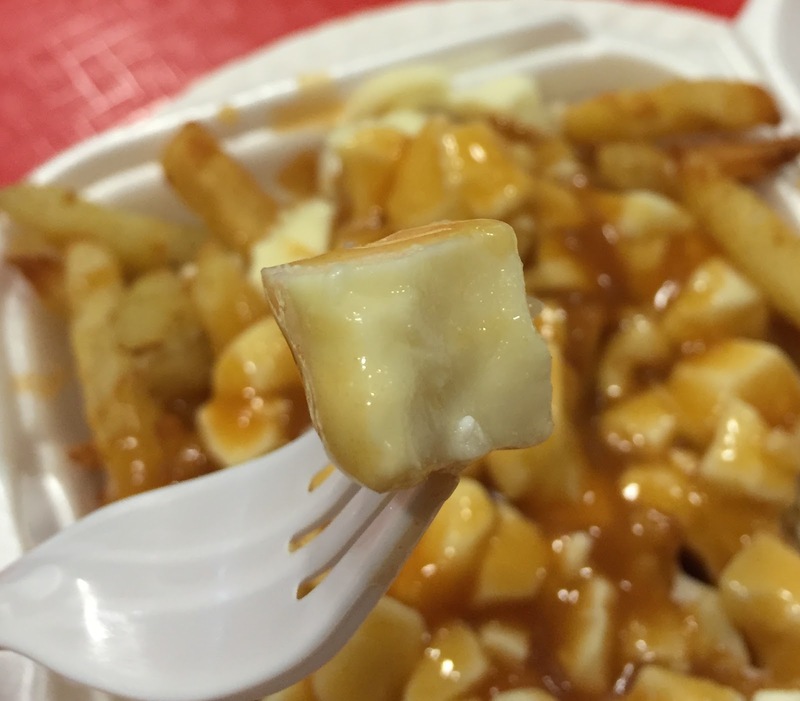 Small cheese curds were soft and didn't have squeaky texture. The light and not too thick gravy sauce was salty and didn't have any flavor, even broth. The fries weren't greasy as they're warmed up in the oven instead of frying, and I actually liked the crunchy texture on the outside. 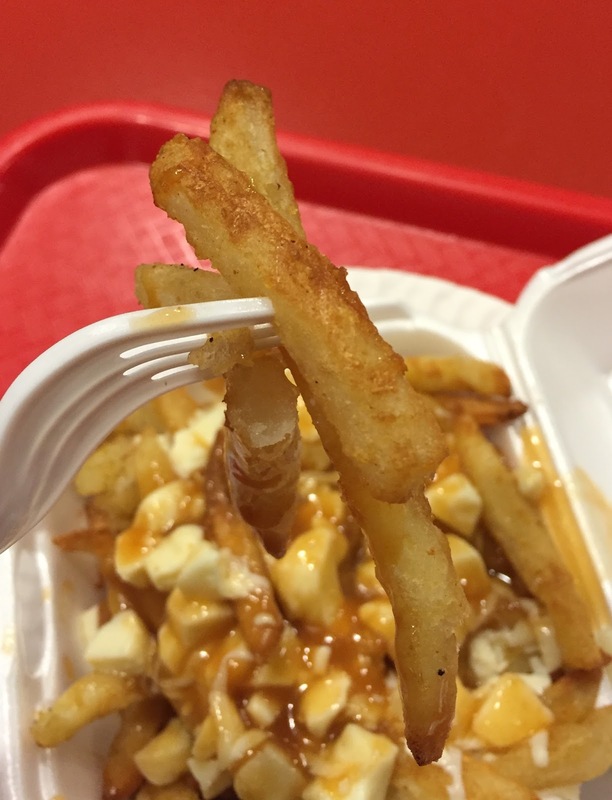 The fries weren't salted and the gravy was a bit bland, but for 5 CND dollars after tax and the amount I got was ok.
Maybe next time I should try their pizza.